Foel Eryr ( The Hill of the Eagle ) - 1535ft , 468m . The 2nd highest peak of Mynydd Preseli . 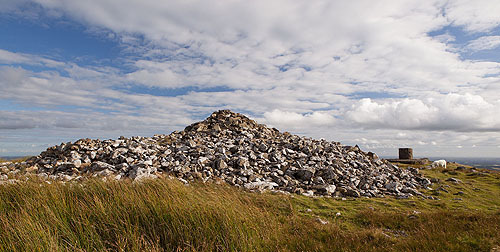 A Bronze Age Burial mound / Cairn / Barrow - 17m in diameter and 2.1m high from 2,000BC is on the summit.